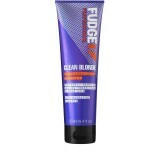 A powerful neutralising blonde product. 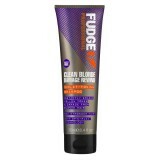 The perfect shampoo to neutralise a..
A powerful neutralising blonde product. 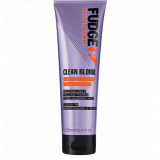 The perfect conditioner to neutralise and..
INSTANTLY REMOVES YELLOW TONES FROM BLONDE HAIR & REPAIRS HAIR WITH OPTI-PLEX™TECHNOLOGY ..
For hair that is blonder, stronger and smoother. 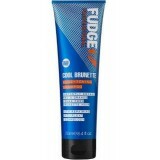 Containing violet micro-pig..
Instantly erase unwanted red & orange tones from brunette hair while repairing and protecting..
Instantly erase unwanted red & orange tones from brunette hair while repairing and protec.. 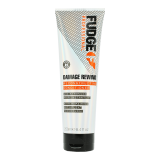 Treat damaged hair to the benefits of Fudge Damage Rewind Shampoo; a cleansing and regenerati..
Stop damage in its tracks with Fudge advanced Damage Rewind Reconstructin..
A shampoo to brighten and smooth the hair. Using innovative Opti-PL..